Jeep Wrangler (YJ) (1987-1989) w/ 3.73, 4.10, 4.56 or 4.88 Ratio. Jeep Cherokee (XJ) (1984-1989) w/ 3.73, 4.10, 4.56 or 4.88 Ratio. Jeep Comanche (MJ) (1986-1989) w/ 3.73, 4.10, 4.56 or 4.88 Ratio. 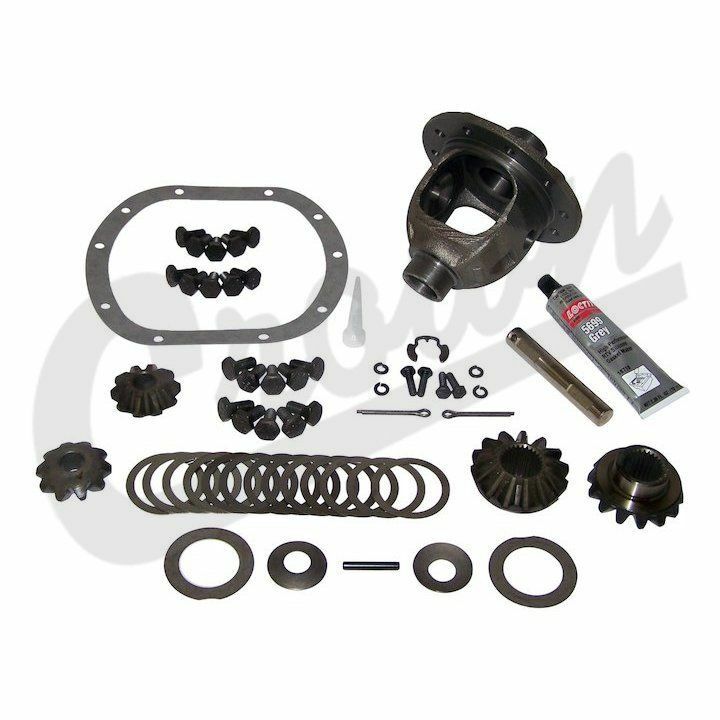 Dana 30 Front Complete Differential Case; Includes Differential Case and Differential Gear Set.